An occasional series of bloopers. draws upon in-depth interviews with Egyptian judges, lawyers, Islamic activists, politicians, and businesspeople. It also utilizes major court rulings, political documents of the Muslim Brotherhood, and the writings of Egypt's leading contemporary Islamic thinkers. 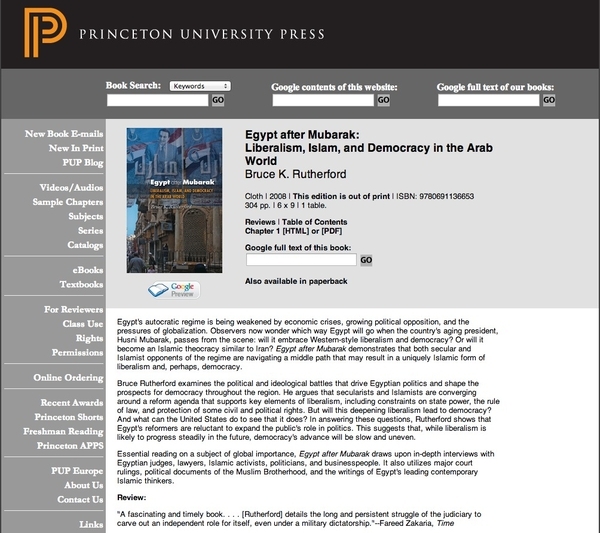 Bruce Rutherford examines the political and ideological battles that drive Egyptian politics and shape the prospects for democracy throughout the region. 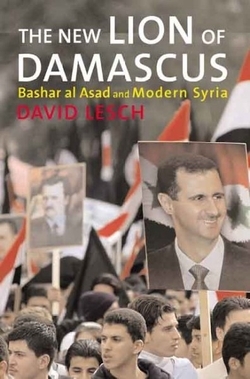 He argues that secularists and Islamists are converging around a reform agenda that supports key elements of liberalism, including constraints on state power, the rule of law, and protection of some civil and political rights. But will this deepening liberalism lead to democracy? And what can the United States do to see that it does? In answering these questions, Rutherford shows that Egypt's reformers are reluctant to expand the public's role in politics. This suggests that, while liberalism is likely to progress steadily in the future, democracy's advance will be slow and uneven.